In 1996, as a young scholar working toward his dissertation, Sean Quinlan won the Fulbright Research Fellowship to study in Paris, France. 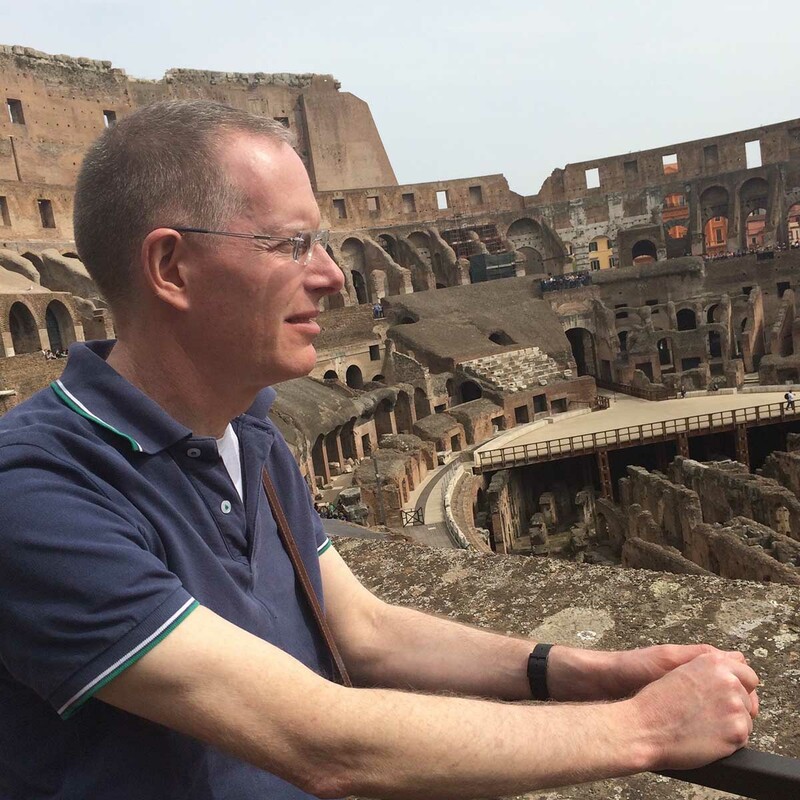 Twenty years later, as the chair of the History Department in the College of Letters, Arts and Social Sciences at the University of Idaho, he won the Fulbright again — this time to study in Rome and Naples, Italy. Quinlan is an intellectual and cultural historian who specializes in science and medicine in modern France and Italy. An Arizona native, Quinlan has spent the last 16 years at the University of Idaho. He said a very appealing element was the size of the school and the quality of the history program. Quinlan said that many Fulbright recipients describe the fellowship as a transformative experience, both professionally and personally. Fulbright applicants undergo a two-level peer review process from both the United States and the host country. Americans vet the projects and decide if the applicant qualifies. If they do, they are forwarded to the host country for the final decision. While in Paris, Quinlan spent a year in specialized libraries and archives researching his dissertation. This research became the groundwork for his first book, which looked at the origins of modern public health policy in 18th century France. He then finished a second book on medical writers and radical politics following the French Revolution. Quinlan said going abroad first as a student and then again as a professional gave him a deeper sense of his own self and academic purpose, along with a greater cultural and linguistic awareness. “There’s a greater confidence that comes over time and it made me more willing to sally forth,” Quinlan said. Quinlan’s recent Fulbright allowed him to begin research on his third book. Its focus is on science and the Enlightenment in southern Italy, especially Naples. Naples, Quinlan said, became an independent country in the 18th century — the largest on the Italian peninsula — and it was important for trading and strategic purposes. Government leaders hoped to make the new kingdom into a major economic and international force, and they recruited scientists and philosophers to stimulate scientific and technological innovation. Enlightenment science became a key part of a major social reform project. “The Enlightenment scientists and philosophers that I spent time studying in Italy hoped that by teaching their peers about science, they would be teaching them to think critically, not just about nature, but about the world — to take the tools of science and apply them to society and make it a better place,” Quinlan said. Some of these Enlightenment thinkers, such as Gaetano Filangieri and Mario Pagano, became internationally renowned. Filangieri, for example, created a “science of legislation” and was a good friend of Benjamin Franklin, even commenting on early drafts of the American Constitution. Another major Neapolitan philosopher, Antonio Genovesi, pioneered the teaching of science and held the first-ever university professorship in political economy. In order for Quinlan to reconstruct the past, he needed access to written documents and other artifacts that weren’t always readily accessible. Quinlan’s story about science and Enlightenment has a tragic ending. Many of the Italian thinkers that he studied failed in changing southern Italy and some of them, such as Pagano and the great botanist Domenico Cirillo, were executed during the Neapolitan revolution of 1799. But Quinlan said it was interesting to learn what they were trying to accomplish and the faith they had that science would illuminate nature and humanity, bringing about a better world. From that, he said we can apply knowledge in understanding our condition today. “It’s important to know that science and politics don’t go easily together—just look at current debates over biotechnology and ecological change,” Quinlan said. Quinlan thinks history always teaches us to be surprised by what people do and what they are capable of, in both good and bad ways. He said he thinks a lot of the challenges we are experiencing on the global stage right now are because of a kind of forgetfulness about history.